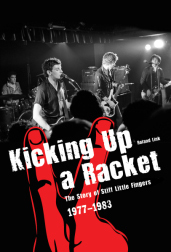 Stiff Little Fingers are synonymous with Ulster punk. The energy and excitement of the band's formation are captured in this examination of the early years of an Irish phenomenon. From the first meetings of future band mates to recollections of the band's gigs, there is a wealth of detail in this book. The band have been cited as musical influences by groups as diverse as U2, Ash and the Foo Fighters. Personal recollections of band members, fans and musical contemporaries: there is something new here for every Stiff Little Fingers fan.